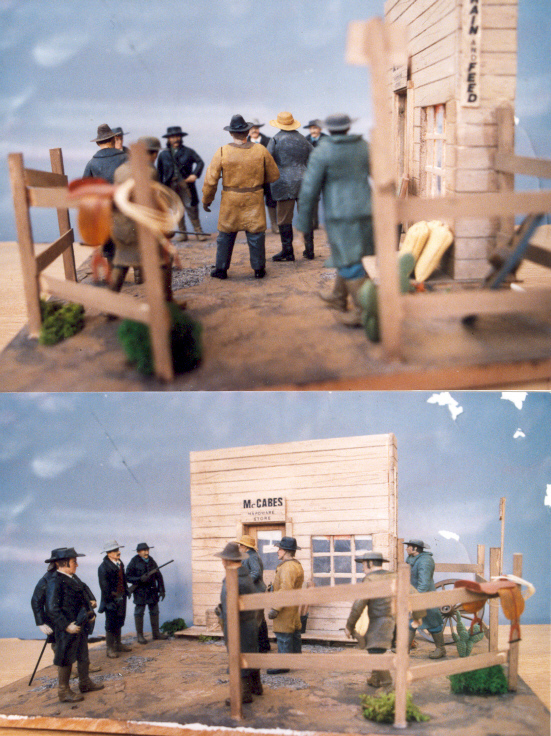 Another interesting subject to me is the American west although I have never built any models relating to this, in the back of my mind was to do a diorama of this famous or perhaps infamous gunfight.The basic figures are from various Verlinden, Tamiya and Dragon models and quite a few parts from the bits box. 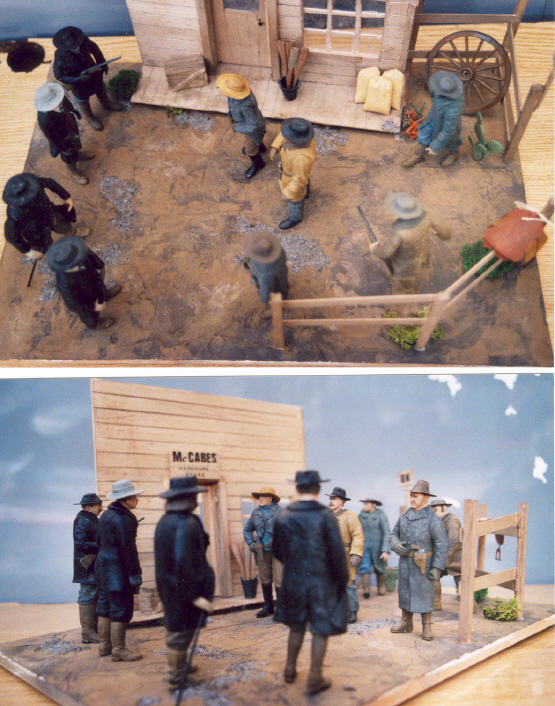 Also a lot of use of Das clay for the coats, hats and so on. In there somewhere is Gen. Patton and Rommel..so they did meet ! !